I was on my way to a little meeting. Dormont sounds like a good meet-in-the-middle-spot for the parties involved. Dunkin Donuts? Yep, sounds good! So I get to this strip plaza, Dormont Village, only to find that this tiny suburban strip plaza has PAID PARKING!!!!! What did some Jagoff from the Pittsburgh Parking Authority retire in Dormont and their cousin needed a job collecting quarters?????? Seriously, a Dunkin Butternut Crunch Donut costs 55-cents. And the cost to park there, run in and get that donut is 25-cents. One might say, “BUT, you get a full 30 minutes for your quarter.” To that we respond, if I need 30 minutes to pick up a single donut, or even a dozen donuts for that matter, there’s somethin’ wrong. Aaaaand.. if I stayed at the DD for 30-minutes the number of downed-donuts would be exponentially more than 1! The national average for standing in line, perusing the menu, making a selection and paying for that selection – including stealing a handful of napkins for the car’s glove compartment is 6.8 minutes. Given that, I should have only had to pay 5.6 cents (see long hand below because I went to Catholic School). The problem is, I don’t carry 5.6 cents with us very often. 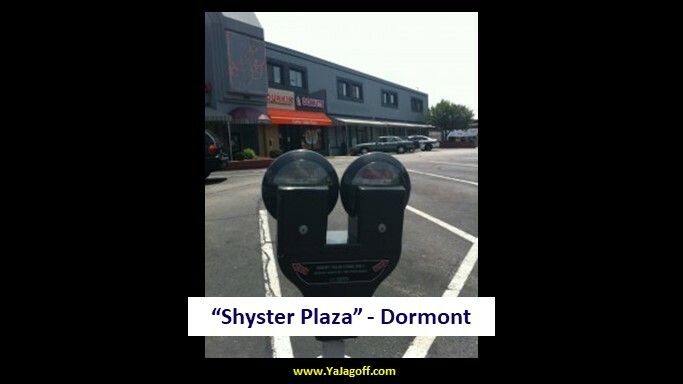 Hey Dormont, not sure what it is about local governments thinking they can run the town on parking fees but maybe you should consider free parking and create one giant Hoagie-Sale-Golf-outing-Bingo-5K-Christmas-wrap-sale-Carny-ride-at-the-races-50/50-raffle-Steelers-football-poll-Black-Jack-and Big-Six-Wheel Fundraiser. FYI, I did NOT pay for the time that it took me to crawl around the inside of my car to locate 2 quarters so that I could have a one-hour meeting so YOU LOSE, Ya Jagoffs!!!! $.25 divided by 30 minutes yields a parking cost of .008333 per minute. Multiply that times the national average serving time of 6.8 minutes and ya get, 5.6 cents parking costs to get our donut. ADDITIONAL NOTE: I TOTALLY made up that number of 6.8 minutes for donut serving time! The @#*! @ Steelers/Browns Game-Watching Jagoffs! Who’s the Bigger Super Bowl Jag? Brady or…. What Does the Black Box Mean?